Mighty Leaf Tea has perfected the art of tea. Whether you enjoy iced or hot, herbal or black, they are sure to have something that you will enjoy! I was so pleased to work with them on this review. They sent me three different boxes of tea pouches, I chose the Taste of the Tropics flavors and it included, Green Tea Tropical, Vanilla Bean, and African Nectar. The very first thing I noticed about the tea pouches, notice I did not say tea bags, because these are definitely a step above a regular tea bag. 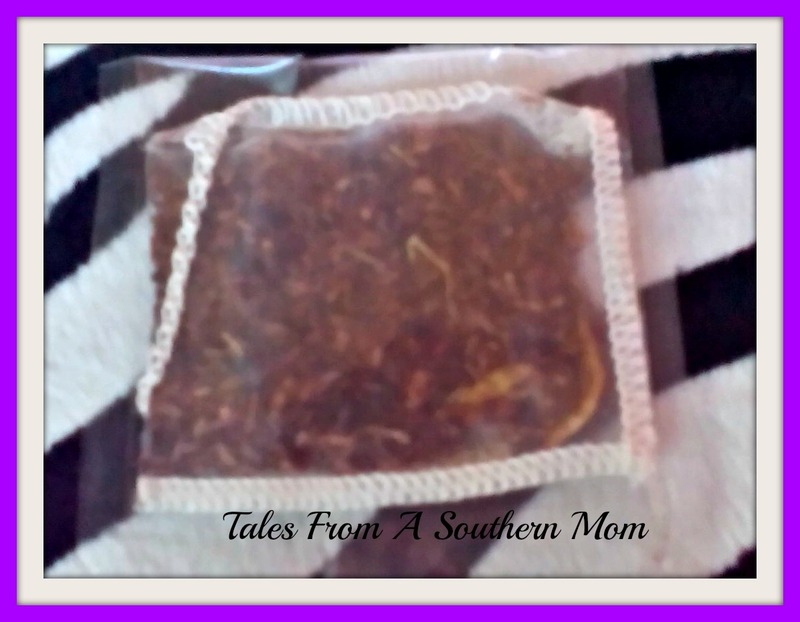 They are sewn together; a fabric pouch and they seemed to be bigger than normal tea bags. All of the teas had a nice aroma to them; they really let you feel the experience long before you tasted them. Green Tea Tropical is my favorite of the bunch to serve over ice. Very refreshing, and slightly sweet. I do not have a lot of familiarity with green teas, but this did have a different flavor than the black and white teas I have tried in the past. When drinking it iced I did add a small amount of raw sugar but, that is my palate, I always prefer things a little sweeter. Vanilla Bean was a surprise. It was good in the mornings hot as an alternative to coffee. I did taste the vanilla, but more impressively, I smelled the vanilla rather like when you are baking or cooking with it. This tea also had more caffeine in it and for the morning, I liked that. I do not know any other way to describe this one other than smooth. A good coffee alternative if you are trying to get away from the coffee habit! I did the African Nectar one afternoon during naptime. I figured I had a few minutes to myself I could have a little breather with this tea. This African Nectar has no caffeine, and I found the flavor nice but not a favorite. Had a bit of a honey overtone to it and was nice, just that I did not like it quite as much as the others that I tried. Overall, I think these teas are a step above what you would normally find out there and well worth the effort to try. 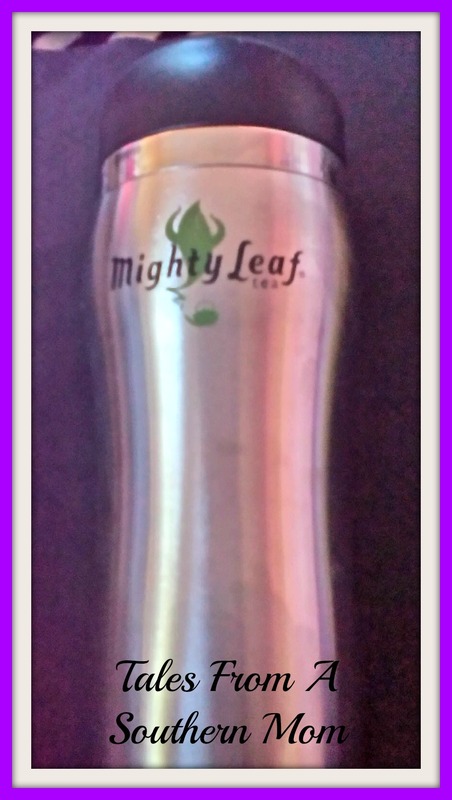 Mighty Leaf has a ton of flavors and I am going to find some acai pomegranate to try this summer. I drink a lot more iced tea in the summer than anything else, so I am excited to try it. 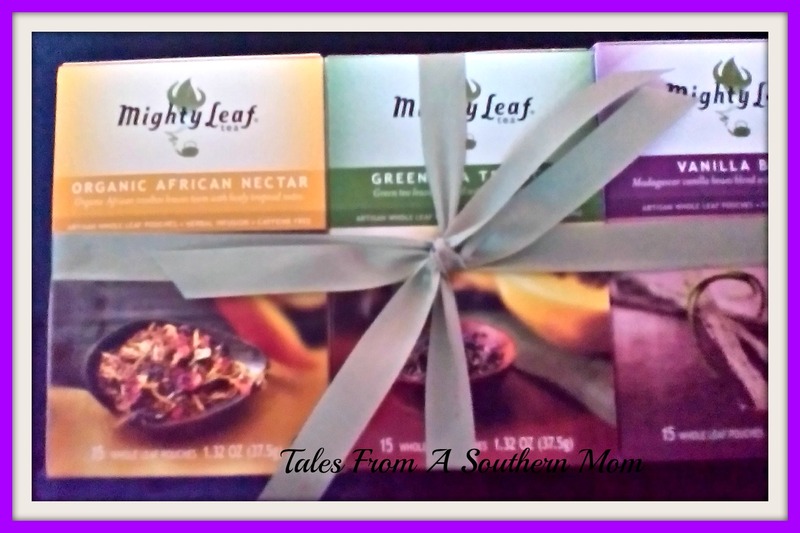 Mighty Leaf tea is sponsoring a giveaway on this blog and you can win your own three-box sampler. You have a choice of the Taste of the Tropics (which I chose) or the World Flavors. Check out their website, they have a lot of tea options and tea connoisseur gifts if you have someone in your life that loves tea. Be sure to enter their Spa Sweepstakes here. A weeks’ vacation sounds good to me! Giveaway Open 04/18 through 05/02. Previous post: Ultimate Kitchen Cheat Sheet! I prefer hot tea, but I keep a cup next to me all the time, so it starts out hot and is usually cold by the time I’m ready for a refill. I like hot tea more.